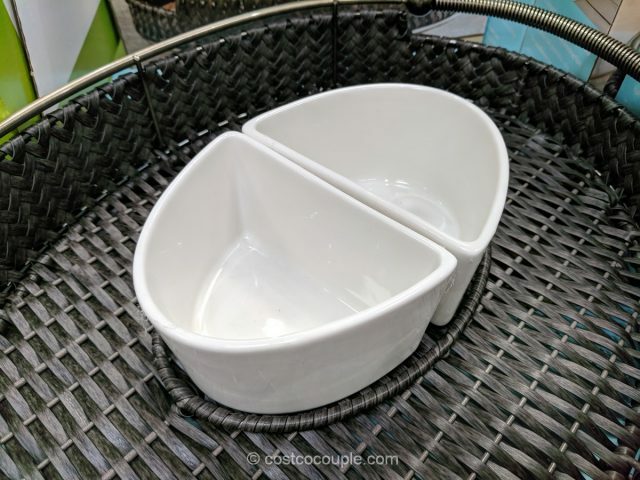 Serve your appetizers in style with the Mesa Woven Chip and Dip Set. 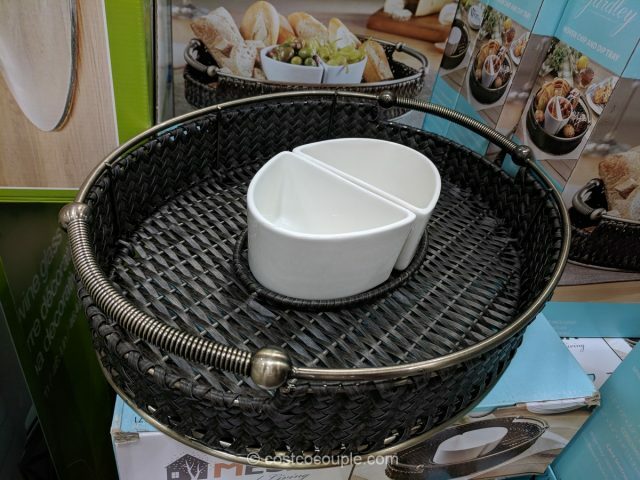 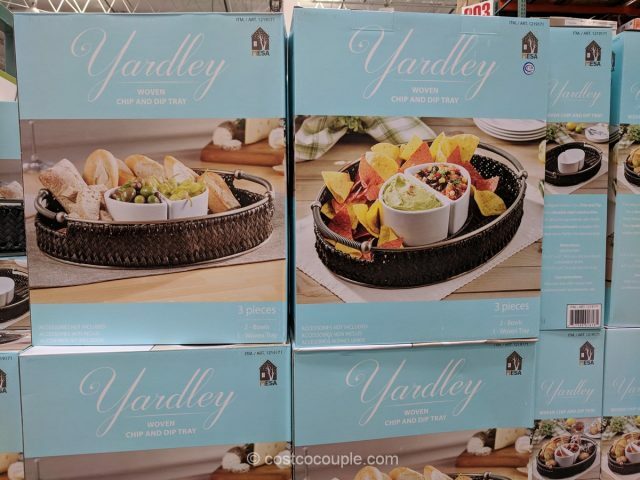 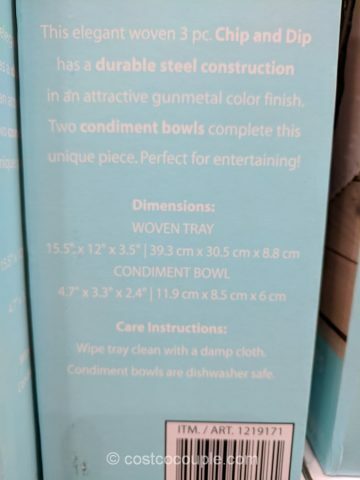 The set includes a woven tray and 2 white condiment bowls. 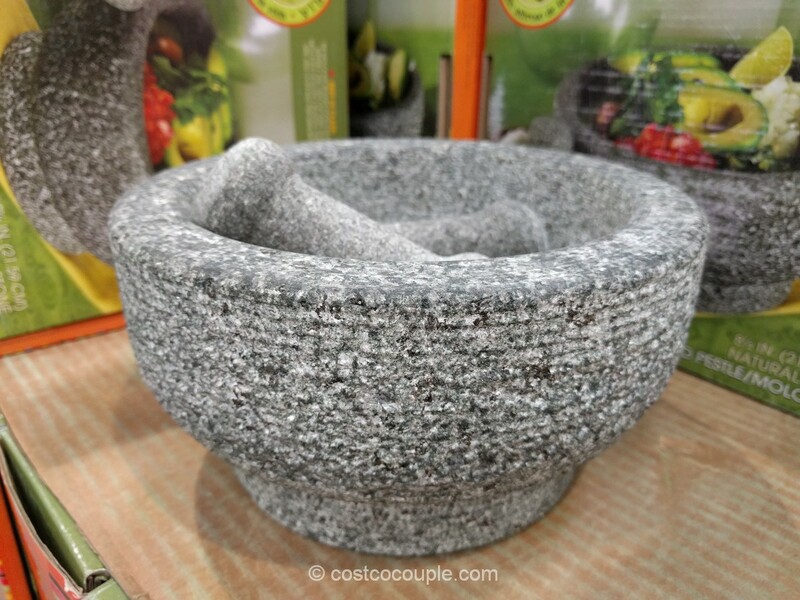 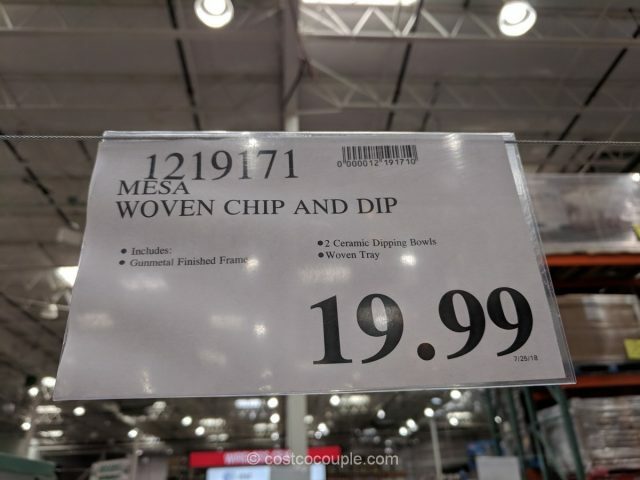 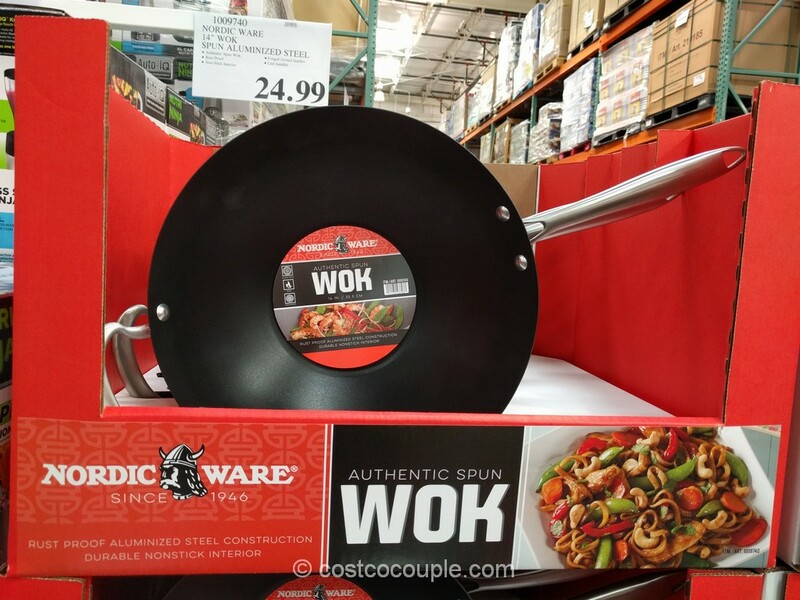 The Mesa Woven Chip and Dip Set is priced at $19.99.